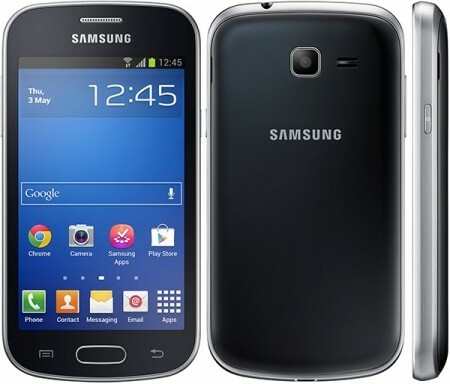 The Galaxy S Duos 2 GT-S7582, launched by Samsung Mobiles, runs on Android 4.2 OS, powered by 1.2GHz dual-core processor and supports dual-SIM. The price of this handset is Rs 10,999. The availability of Galaxy S Duos is on Samsung India eStore. The weight of the handset is just 118 grams and thickness is 10.57mm. With supporting 16M colors over 800×480 pixels resolution (WVGA), the TFT screen is 4 inches. The upgraded version of Samsung Galaxy S Duos is the Duos 2. This dual SIM handset includes a LED flash and VGA camera on the front and a 5MP CMOS camera on the rear. Rear camera can record videos at 30fps in 1280x720p resolution. Duos 2 has 4GB internal storage and Ram of about 768MB. Key features are Bluetooth, GPS with A-GPS/GLONASS support, Wi-Fi (b/g/n) 2.4GHz with Wi-Fi direct, 2G and 3G (HSPA+21Mbps). The sensors are proximity, magnetic and accelerometer. On a single charge, the 1500mAh battery of phone gives a talk-time of up to 8 hours. Galaxy S Duos is currently priced at Rs 9,990, while Samsung Galaxy S Duos is now listed on Samsung eStore for Rs. 10,999 and on other online stores for Rs. 10,790.